a. To promote environmental awareness among faculty, staff, and students. i. ensure a safe and healthy environment for all who live and work on the College campus. ii. 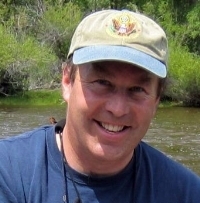 promote environmentally sound ecological (air, land, and water) stewardship practices. Vermont Law School's environmental law program is considered the best in the country. to innovative energy efficiency financing initiative. 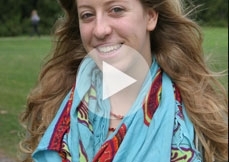 Sierra Crane-Murdoch '10, winner of the Brower Youth Award, talks about Power Past Coal. In keeping with the College’s commitment to environmental stewardship, the Mahaney Center for the Arts (MCA) has made many changes to lessen the Arts’ resource footprint over the past several years. Earlier this spring, the Donald E. Axinn ’51, Litt. D. ’89 Center for Literary and Cultural Studies at Starr Library received a Sustainable Design Award from the Boston Society of Architects (BSA) and an Excellence in Architecture award from the Society for College and University Planning (SCUP). 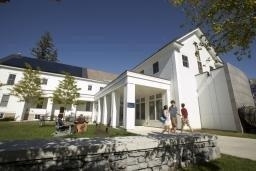 Sustainability is an integral part of the culture at Middlebury College, which has pledged to become carbon neutral by 2016. According to a news release from the building’s architects, Boston-based Childs Bertman Tseckares (CBT), the awards are an affirmation of the high quality planning, design and service efforts associated with the facility. The BSA is Boston’s local American Institute of Architects (AIA) chapter, and the SCUP award recognizes best practices and emerging trends related to planning in higher education.